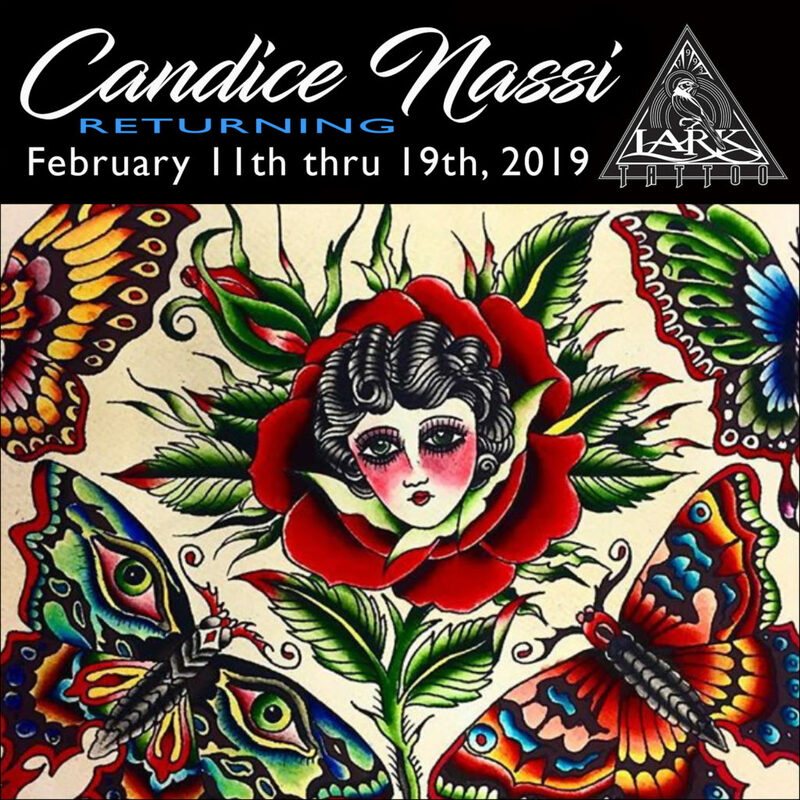 Candice Nassi returns 2/11/19-2/19/19! Like last time, she will fill up, so get your appointment now! Call: 516-794-5844 or email info@larktattoo.com for info/bookings.